You’d like to get into the drone sensation, but you don’t want to break the bank to do it. Don’t worry: there are plenty of options in the $100-300 range that include everything you need. Before we continue: the term “drone” is a misnomer, since it technically describes something that can navigate on its own, not simply a remote control device. But then again, some of the more advanced models available—even a few on this list!—can indeed fly on their own, returning to their operator if a signal is lost, performing some pre-programmed tricks, or even avoid obstacles. So perhaps a persnickety terminology gripe is unwarranted, but we always want to ensure our readers are well informed and end up with a product that meets their expectations. We’ve selected the best all-around drone for beginners, a cheap and durable one for kids, a drone that folds up for easy travel, one that’s ideal if you want to get into the exciting drone racing scene, and an upgrade model if you’re ready to spend a little more for advanced features. Oh, and note that for any kind of photo or video recording, you’ll need a MicroSD card. Here are a few that are ideal for the more demanding tasks of drone video. The term “long-range” is a bit flexible if your initial budget is under $300. 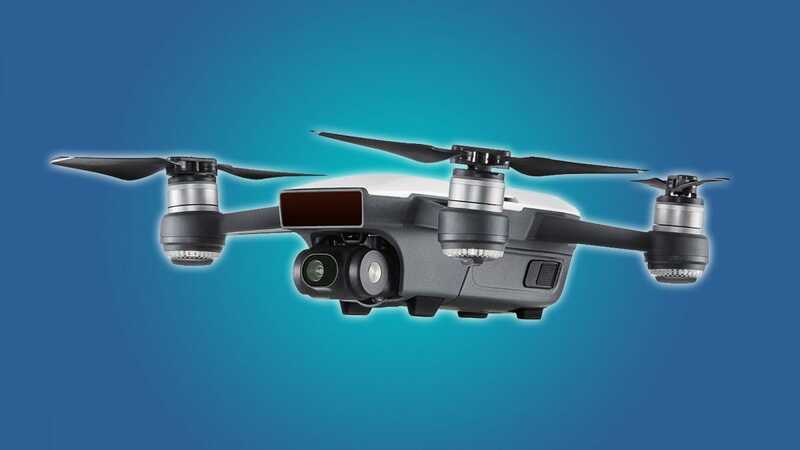 While there are drones that can go for miles without losing a video connection and stay aloft for half an hour or more, they’re generally in the $1000+ price range. That being the case, this budget model from DronesGlobe is a good place to start if you want extra range and longevity in your first drone. 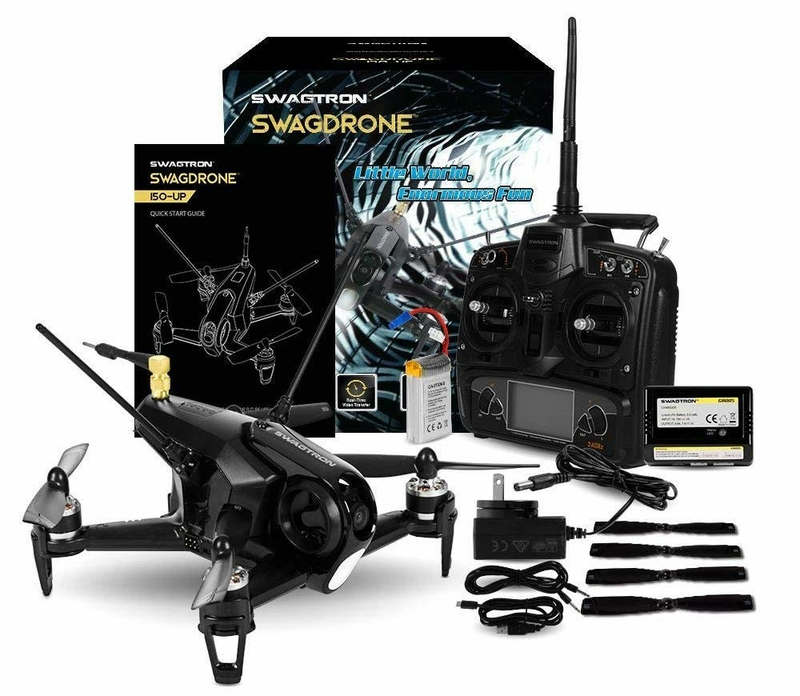 With a 17-minute flight time and an extra modular battery in the box, it’s good for up to three times the airtime of other budget models. 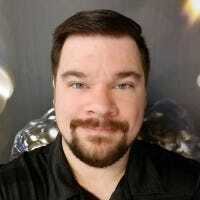 The included controller can reach for over a mile, though be mindful that your video connection to your smartphone app will only reach about a quarter of that distance. A built-in GPS locator and a return-to-home feature means it will fly back to you if it goes too far or loses its connection. The 1080p camera is a nice bonus at this price level, too. The DJI Mavic series is much loved thanks to its ability to fold its rotors and arms down into a tiny package… but since that one costs more than the average mortgage payment, this inexpensive clone design is a decent budget alternative. For under $80 you get a drone that can fit in your backpack, along with the included controller and some spare batteries and tools, with enough room left over for whatever else you need that day. The system includes a few pre-programmed tricks and an automatic takeoff and landing sequence and with modular joints that makes it easy to replace the rotor arms if they’re damaged. The 2MP camera and a flight time under ten minutes leave a lot to be desired, as does the 100-meter range. But if you want something inexpensive that lets you fly while packing light, it’s a great choice. If you’re buying a drone specifically for your child, it’s very important to pick one that can take a bit of a beating…and more specifically, isn’t fast or heavy enough to actually hurt anything or anyone else when it crashes. 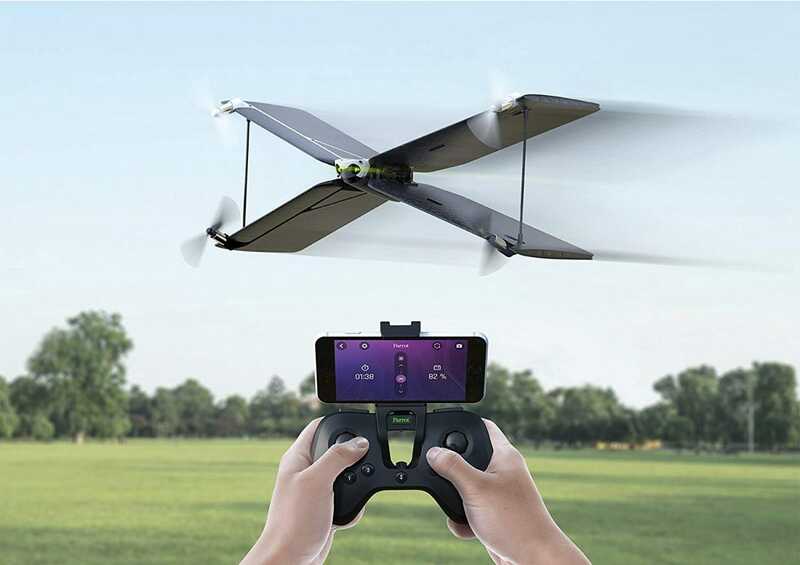 Parrot’s Swing drone accomplishes both of those tasks, thanks to a hybrid wing design that flies in either a standard quadcopter configuration or like a propeller plane. The mostly-foam body can’t do much more than bruise if it should hit something, and its lack of camera will keep aspiring pilots from the temptation of flying it out of visual range. This $67 package includes a video game-style control pad, and I’ll recommend that over smartphone touch controls any day. 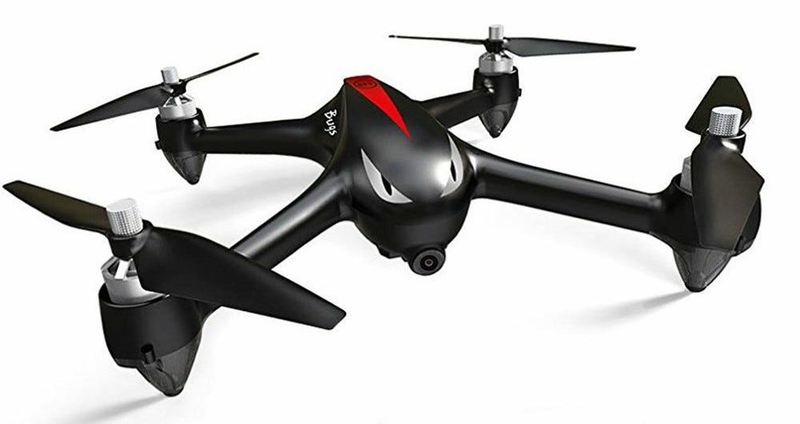 The design can accommodate modular rechargeable batteries and replacement propellers, but if your kid manages to totally destroy it (or lose it up a tree), a replacement for the drone sans controller is only $30 for a refurbished model. The emerging scene for racing mini-drones is very exciting for hobbyists. While the fastest and most capable drones are custom-built by racers with some serious electrical engineering chops, you can try your hand at it without dropping too much dough thanks to this inexpensive pre-built racing model. In addition to a pro-style controller and a high-speed wireless connection, its tiny body has an aerodynamic design that’s faster than anything you’re likely to find on a retail shelf. Pair the low-latency wireless connection with a low-latency video headset, like this $130 option from the same manufacturer, and you’re ready to try first-person video drone racing for under $300 total. Three different control modes will accommodate beginners as they get more comfortable with high-speed acrobatics. Replacement parts are modular, which is handy for frequent crashes on packed race courses, and replacing them will give you some solid practice if you ever want to move up to more competitive hardware. 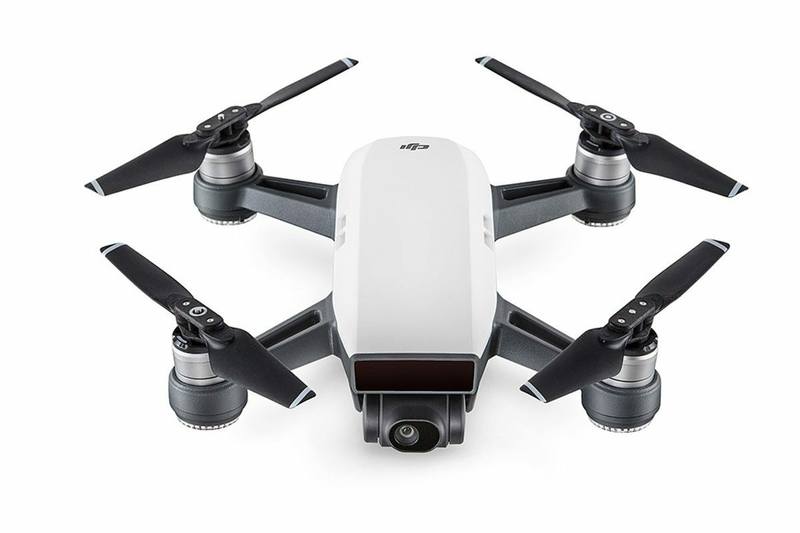 If you’re ready to move up to more advanced design with a bigger budget, DJI’s entry-level Spark drone is a great place to start. This smaller design includes double-axis gimbal stabilization for smooth video on the included 1080p camera. With 15 minutes of flight and a range of up to 1.2 miles—including a video connection to your smartphone—it has a lot more freedom than the budget models on this list. It’s packing real smarts, too: the drone will follow you in “selfie” mode, respond to gesture controls for taking still photos or circling the subject, and even avoid obstacles while it flies autonomously. Video can be transferred to your phone and edited right in the DJI app. And perhaps best of all, the Spark is compatible with DJI-branded accessories (like a first person view headset) so you can expand your hardware options for when you’re ready to upgrade to a more heavy-duty drone. Note that this package includes the hardware controller, which is pretty expensive at this level—some similarly-priced “starter packs” for the DJI Spark sold online do not. Knowing what to put in a tech loving person’s stocking every Christmas can be tough. If you have a loved one who can’t step away from their smartphone, we have a bunch of great ideas for smartphone-related stocking stuffers.